Cordially invites you to join us in an evening of fellowship, fun and singing! You don't have to be a great singer - just be able to carry a tune. You don't have to be able to read music - we'll teach you your part. You don't have to sing your part alone - you'll be singing with the chorus. Don't think you can sing well enough? You probably sing better than you think. If you've ever sung in the shower or have found yourself singing along with the music on the radio, you'll love barbershopping! 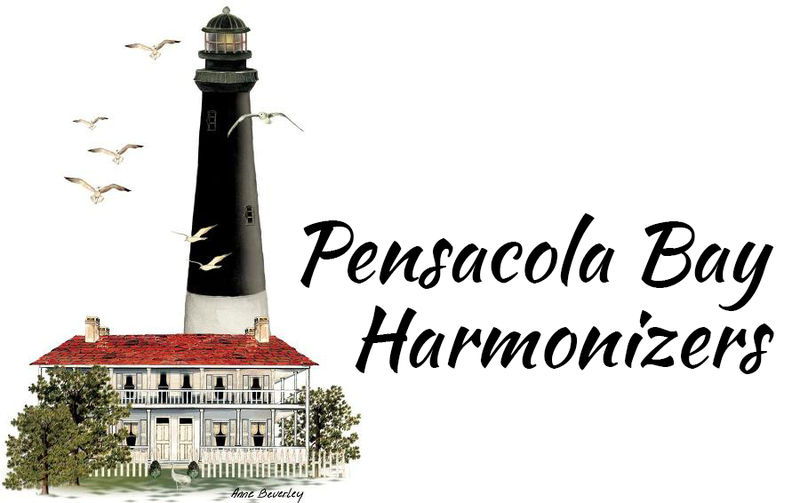 The Pensacola Bay Harmonizers are always interested in bringing in new members into our ranks, and we heartily encourage you to visit our rehearsals to learn what our chorus is all about. 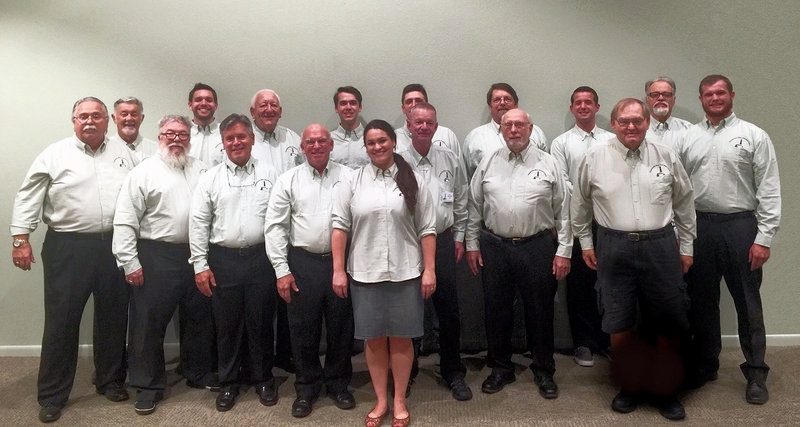 To become a member you will need to attend and participate in three rehearsals and join our parent organization, the Barbershop Harmony Society. At this point you will be a registered member of the Pensacola Chapter and the Pensacola Bay Harmonizers. Chorus membership does entail annual dues. There are regular and student rates and a variety of installment methods of payment. Our Membership Vice President will be happy to review the entire process with you. YOUR REWARD - the satisfaction that comes with learning and performing beautiful songs and establishing new friendships with others who love barbershop singing. If you love to sing we believe that you will love barbershopping. Visit one of our rehearsals and look us over. You won't be pressured to join and you will have a lot of fun singing with us. We meet every Tuesday at 6:45 PM at the Northminster Presbyterian Church, 1100 East Nine Mile Road, Pensacola, Fl. We look forward to seeing you. For more information please contact us.